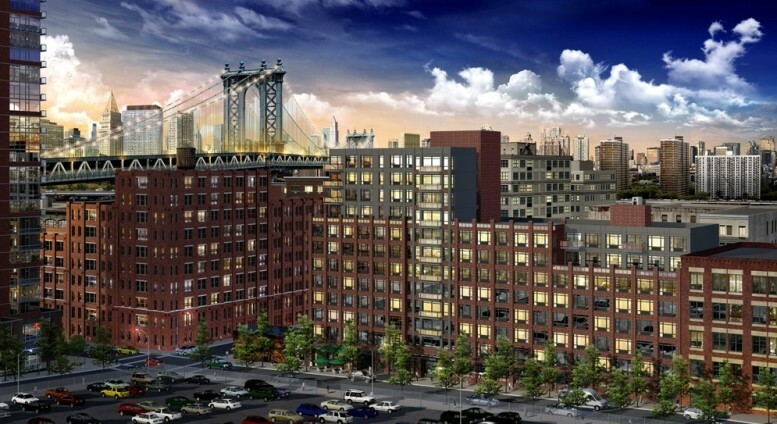 In April, YIMBY noted excavation was underway at 181 Front Street, in Dumbo, where Megalith Capital Management and Urban Realty Partners are building a 12-story, 105-unit rental building, which will also have 1,490 square feet of retail on the ground floor. Now, foundation work is beginning, according to Brownstoner. The project also consists of the conversion at 200 Water Street, where 15 condominiums are planned, and Aufgang Architects is designing, with completion slated for 2016.